I made a new frend today after school. His name is Scut, which is not Scott. No one can call him Scott because he says so. Hes so funy, which is why the teechers hate him, because he dosen't take nothin from nobody. Hes like Dad, only before the whisky, when hes happy and the baseball is on the radio and were wnning. I thoght it wud be a bad day, because lst night Mom was crying again after Dad got mad becasue diner was coldt. I didnt think it was cold but Dad was alredy mad becaus the forman yelld at him for being late and said he wud be fird and that wasnt fair because of Dads nerves and his condition. Mom didnt say nothin but brung dinner and Dad got madder an madder and she said please John I'll warm it then he smashed hsi plate on the flor and took the muny from the jar and said really bad words to mom and wnt to Tonys on the corner. mom cried till I went to slp, and Dad didnt come home, but he was on the cowch when I got up for stupd school. Mom wasnt there she was at Aunt Bettys agin and the lunch muny was gone so I didnt eat but I didnt care. The teecher were stupid, and I didnt lissen because I was too mad at them and at mom for no lucnch and Dad for being mean. I was glad when school was done but I didnt want to go home becase I didn't and so I thoght maybe I could lift somethin from Welbys cause I was hunry. 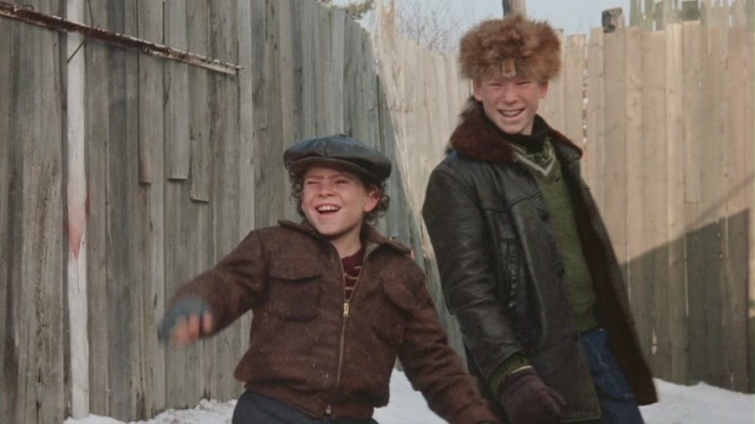 And there was Scut, like popd out of nowhere, and he says hey fagit, where you goin little fagit. I new him from befor and he flunked two grades and hes strong and big, but nobody calls me fagit not even Dad like he did when he found my last diary and said diaries is for girls and fagits I didn't rais no fagit. He burned it and thats why I hide this and write in the dark because I aint no fagit. And so when he said fagit I got mad again about Dad, so I said right back I'm going to steal candy and pop from Welbys your the fagit. So Scut punchd me in the arm and knoked me down and I hert but it werent near as hard as when Dad does it so I said that the best you got fagit. I thoght he was goin to punch me again but he laughed and said your funny and I said dam strait I am and he laughd again. And he said you really gonna steal from WElbys I bet you ain't and I said I do it all the time because I done it twice before and he said show me so I did. The casheer wasnt paying attention gab gab gab on the phone so I got three Mr Goodbars and two bottles of coke and when I got outside there was Scut. He grinned all slylike a fox and said I was like a ganster like a little Al Capone and I said dam strait. Then I said last time I stole a beer and he said no you didnt and I said yes I did because I almost did and could have and that counts. Then he says hey whats your name and I says Grover what you going to do about it and he laghs and says nutin Al Capone and then he says my name is Scut and I said yeah I know. And he grinned at that again, and his eyes got all squinty and dangerous and then he hit me in the other shoulder but not hard at all and said dam strait you know everybody knows me specialy the principal and I laughed. so I gave him a coke and Mr goodbar and we ate them and they were good. Then we saw thes stupid kids from school, the teechers pets and snitches and suckups and he says watch this. And he jumps out just like hes Frankenstein or Drakula and they screemed like girls and went runnin away. It was so funy. Its good to have a frend whos strong and makes you laugh and does whatever he wants because nobody tells him what to do. Scut and I are gonna be best frends I can tell.